“Upon time and space is written the thoughts, the deeds, the activities of an entity – as in relationships to its environs, its hereditary influence; as is directed – or judgement drawn by or according to what the entity’s ideal is. Hence, as it has been oft called, the record is God’s book of remembrance, and each entity, each soul – as the activities of a single day of an entity in the material world – either makes same good or bad or indifferent, depending upon the entity’s application of self towards that which is the ideal manner for the use of time, opportunity and the Expression of that for which each soul enters material manifestation. When we look around, we see multiplicity, diversity, and separateness. You are there. I am here. Your thoughts are yours; mine are mine. Oneness is not evident. 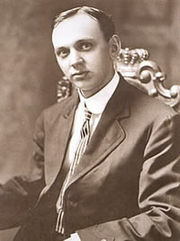 Yet, from Edgar Cayce’s trance-like connection to the Universal Consciousness, he saw and taught oneness: “The first lesson … should be ONE – One – One – ONE; Oneness of God, oneness of man’s relations, oneness of force, oneness of time, oneness of purpose, ONENESS in every effort — Oneness – Oneness!” For Cayce, our thoughts were not just ours! In fact, he could tell exactly what we had been thinking because our thoughts left an impression upon the Universal Consciousness. And he could “read” these impressions. Thoughts for him were “things.” During a reading he had difficulty determining if you or I had actually done something or just thought about doing it, because our thoughts made as strong an impression upon the Collective Consciousness as our actions! That’s a scary thought — oops, I just made another impression upon the Collective Consciousness! Cayce was concerned that we all grasp the implications of this unavoidable oneness.